July 10, 2012 - Hawker Beechcraft the business jet maker announced that it has accepted an agreement with Superior Aviation Beijing Co., Ltd. (Superior), a Beijing-based aerospace manufacturer to sell the company to Superior Aviation for $1.79 billion. Should the transaction be completed, Superior intends to maintain Hawker Beechcraft’s existing operations while also investing substantial capital in the company and its business and general aviation product line, saving thousands of American jobs, including in Wichita, Kan. and Little Rock, Ark. At present Hawker Beechcraft is owned by Goldman Sachs Group Inc. (GS) and Onex Corp. (OCX). 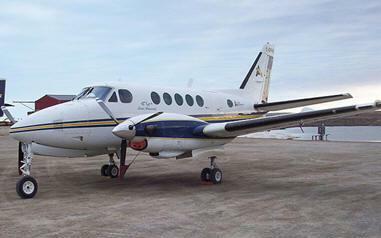 Hawker Beechcraft entered into this agreement as part of its ongoing review of strategic options, which included continuing to operate as a standalone entity, and decided to proceed with Superior after determining that its proposal would create the greatest value for the company and position it for long-term growth. The transaction with Superior would not include Hawker Beechcraft Defense Company (HBDC), which would remain a separate entity. HBDC will continue to operate its highly successful T-6 trainer program and pursue the final certification of the AT-6 light attack aircraft. Robert S. “Steve” Miller, CEO of Hawker Beechcraft, Inc., said, “Superior has had a long-standing interest in the commercial aircraft business of Hawker Beechcraft, having first approached the company several years ago regarding a potential strategic partnership. Under the terms of the agreement, Superior will acquire Hawker Beechcraft for $1.79 billion and make payments over the next six weeks to support ongoing jet-related operations, which will help Hawker Beechcraft to sustain the jet business until the close of the transaction, thus preserving significant future opportunity for growth. Superior’s proposal reflects its intention to make Hawker Beechcraft its flagship investment; maintain Hawker Beechcraft’s U.S. headquarters, management team and employees; and continue product development throughout its commercial product lines. During the 45-day exclusivity period, Superior will perform confirmatory diligence while the two companies negotiate definitive documentation of the transaction. The companies expect to enter into definitive documentation prior to the conclusion of the exclusivity period. If the parties successfully negotiate a definitive agreement, that agreement would be subject to a further competitive public auction process. HBDC is not part of the proposed transaction and neither ownership nor control of HBDC will transfer to Superior. In the event that HBDC is sold, up to $400 million of the $1.79 billion purchase price will be refundable to Superior. If negotiations with Superior are not concluded in a timely manner, Hawker Beechcraft will proceed with seeking confirmation of the Joint Plan of Reorganization it filed with the U.S. Bankruptcy Court on June 30, 2012, which contemplates Hawker Beechcraft emerging as a standalone entity with a more focused portfolio of aircraft. Superior has received and expects to continue receiving the full support of the City of Beijing municipal government in completing the transaction. In addition, Superior is working to obtain all regulatory approvals from the Chinese central government for this foreign investment project. The transaction also is subject to approval by the U.S. Committee on Foreign Investment in the United States (CFIUS) and would be subject to additional customary U.S. regulatory reviews and approvals. Additionally, Bankruptcy Court approval is required for Hawker Beechcraft’s agreement to negotiate exclusively with Superior and for any definitive agreement that may be negotiated with Superior. The proposed combination of Hawker Beechcraft and Superior will not require a financing condition. Hawker Beechcraft’s legal representative is Kirkland & Ellis LLP; its financial advisor is Perella Weinberg Partners LP; and its restructuring advisor is Alvarez & Marsal. Hawker Beechcraft entered into the exclusivity agreement in consultation with lenders holding a majority of the company’s pre-petition secured debt (Senior Secured Lenders). The Senior Secured Lenders’ legal representative is Wachtell Lipton Rosen & Katz and their financial advisor is Houlihan Lokey. Superior Aviation Beijing Co., Ltd. is an aerospace manufacturer that engages in the research & development, production and sale of general aviation engines and parts. Superior is 60 percent owned by Beijing Superior Aviation Technology Corporation Ltd., a closely-held private entity, and 40 percent owned by Beijing E-Town International Investment & Development Corporation Ltd., a company controlled by the Beijing municipal government that supports the financing of strategic investments in certain industries. Superior’s legal representative is Locke Lord LLP and its financial advisor is Grant Thornton.